Dot Rotten wrote his first bars aged seven, started taking music seriously aged 13 and by 15 had already recorded his first grime mixtape. “My uncle had a studio in his bedroom,” says the 23-year-old man known to his mum as Joseph Ellis. Now sitting on a bright pink sofa in the offices of his plush new major label – the undeniably affluent Mercury – he muses that he simply “grafted and got better”. Of his album, ‘Voices In My Head’ (due out next year), he says simply that “it’s less grimey” than people might expect. “It’s very emotional. I’ve been through a lot of ups and downs recently.” What would make Dot Rotten happy in a year’s time then? “Everything that is new to a fan is new to me,” he says, explaining that he wants to be seen as something more than just the next Tinchy, Tinie or Dizzee. 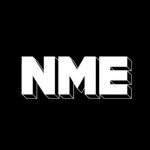 On NME Extra: Exclusive stream of new track ‘Laughing’.